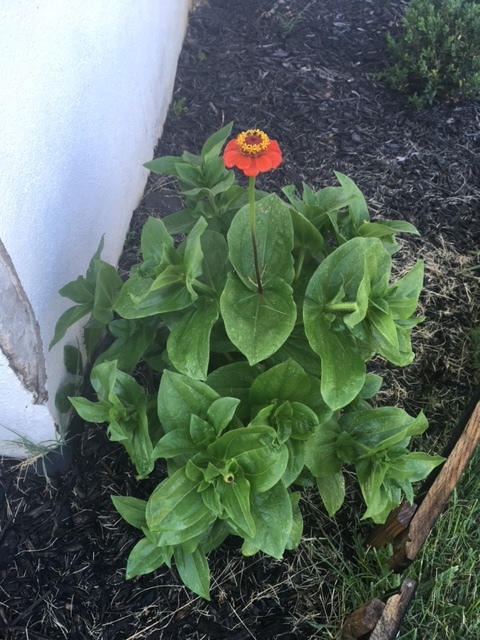 A few weeks ago I planted a random smattering of seeds I had, and this is the only thing that has popped up so far. I’m not sure what it is, but there’s a flower! Had no idea this gardening thing was so easy. Well, if you count one out of 25 a success.